If you are someone who watches a lot of youtubers or reads a lot of blogs and reviews, you will be fully aware of these two concealers and the hype that they have caused. And in that case I apologise for being the 67 billionth person this year to bring them up, however for those of you who are in need of some help and advice on which one suits you best then this blog is for you and you may want to keep reading. So both concealers are drugstore, they are two completely different brands, one Rimmel and the other Collection. I'm not completely sure if one is fairly newer than the other, if so I think maybe the wake me up concealer was released first. 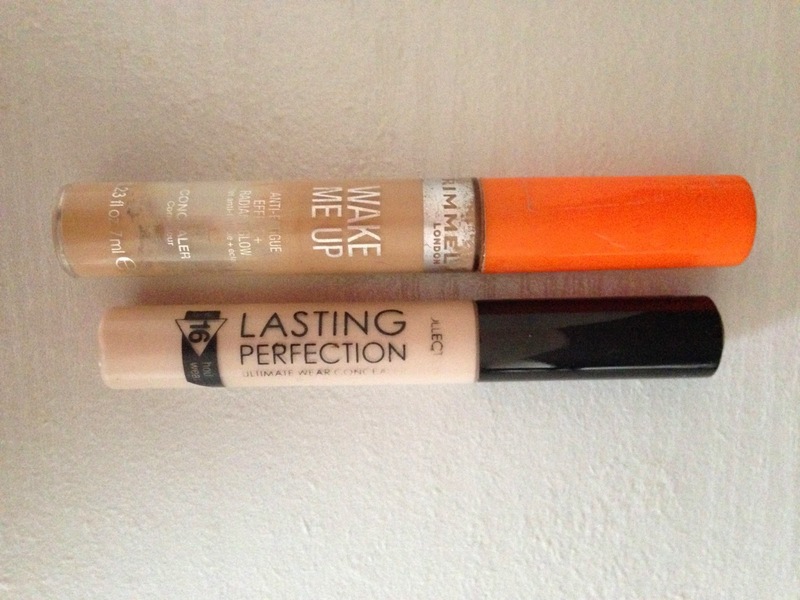 The wake me up concealer is a tad more expensive at £5.49 compared to the collection lasting concealer at £4.19, however overall they are both extremely cheap and affordable products. Starting with the wake me up concealer. When I first started using this product I fell in love with it instantly. It was in the summer when my skin was in fairly good condition, I was generally less tired so my under eye circles weren't too bad and I have to say the concealer looked amazing, so good that I used it every single day. I found applying the product very easy using it's applicator, it isn't drying whatsoever so it applied smoothly and felt nice under the eyes. It just gives a very illuminating and brightening glow, therefore it is perfect for your under-eyes and making you look more awake and healthy. Unfortunately when my spots started re-appearing and my dark under-eye circles became more prominent, I slowly grew to detest the product. The concealer isn't high coverage whatsoever, it is illuminating so it made my spots stand out and it didn't work well on my dark under eyes. I admit I have a hard time with concealer due to my extremely dark under eye circles so this doesn't apply to everyone, but if you have the same struggle as me then this product might not be for you. On the other hand if you are someone who only needs to brighten your under-eyes rather than cover darkness, this concealer is amazing and I would highly recommend it. I just wouldn't recommend using it on spots. Once I fell out of love with that concealer, I went out and purchased the perfection lasting concealer and I found my new obsession. I quickly realised that this concealer was perfect for me as it has great coverage, perfect for hiding my dark under eye circles and any nasty spots, blemishes or redness. It is the perfect all round concealer, great for around the face and also for your under eyes. Similarly to the wake me up, it has an applicator so it is easy to apply. 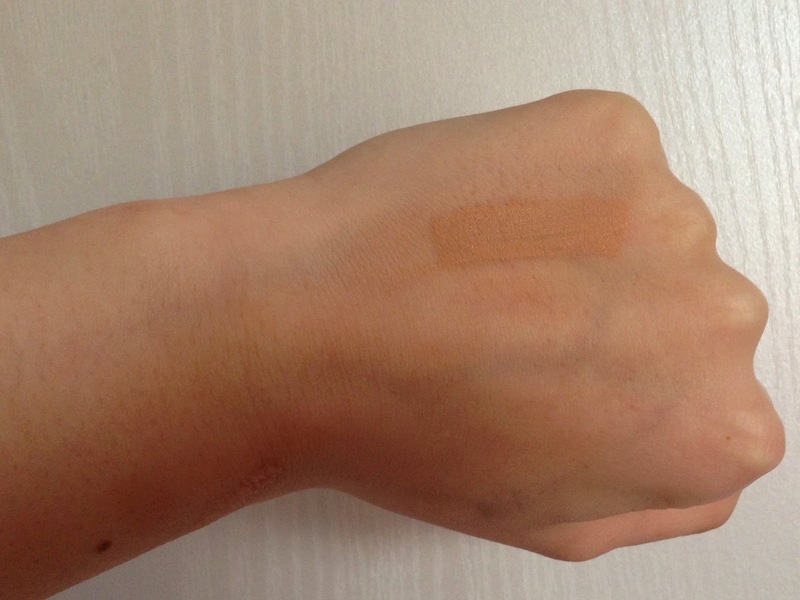 However it is very drying so I advice to rub it in using your fingers, as the heat from your hands almost 'melts' the concealer in a way, making it easier to blend. I would also advice setting it with a powder to prevent it from creasing. Due to it being quite a heavy formula, if you don't have any darkness that needs covering up, I wouldn't recommend this product as it's not going to be beneficial for you whatsoever and it isn't going to be very good for your skin either, therefore I would advice the wake me up concealer. 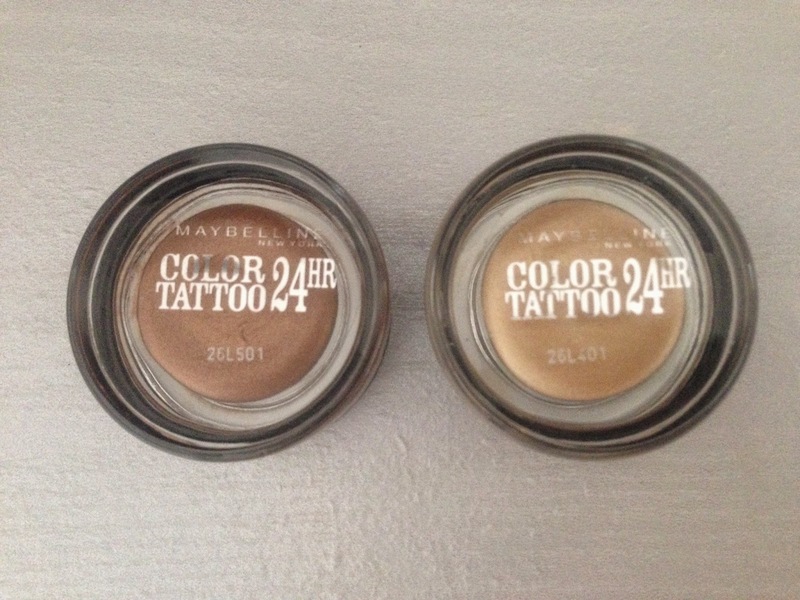 I have owned these two eyeshadows in my makeup collection for quite some time now. In fact they were one of the first ever makeup products I purchased. I opted for the colours 05-Eternal Gold and 35-On and on bronze. 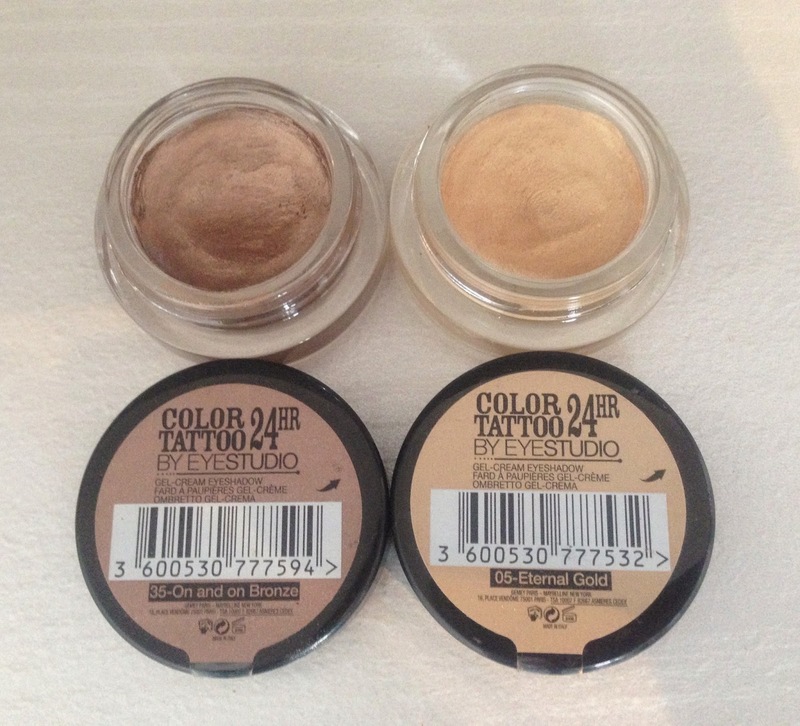 I went for these two colours as they are probably the most wearable and I have to tell you they have lasted me a very long time, which is useful since they aren't the most affordable eyeshadows costing £4.99 each when you can buy an entire palette of eyeshadows for that price, but then again they are a lot cheaper than if you were to buy high end eyeshadows. But I took the dive and definitely do not regret it one bit, and I will tell you why. So firstly they are very compact and easy to carry so if you are travelling, you only need to take one or two eyeshadows rather than having to take an entire palette which saves a lot of room and is a lot more lightweight. Overall I prefer these individual eyeshadows over palettes because you get more choice in the colour of the shadow. When you buy a palette, you don't get to decide what colours are in there so you are always guaranteed to get at least one or two eyeshadows your will never use which is really a waste of money. However this way you can pick the ones you know you are going to wear the *bleep* out of, which in my opinion is fab. So the quality of the eyeshadows are unbelievable considering they are drugstore products, they are very highly pigmented (however I did find the shade eternal gold to be a little less pigmented than the bronze so you just have to apply a little more product.) I find that with them being creme eyeshadows they are better to apply with your fingers rather than a brush because they are very drying and so they hard to work with, but from the heat with your fingers you can work them in better, the same goes for when your blending the eyeshadows together. I have to admit they are a lot more hard work than your average pressed eyeshadows but it is worth it in the end. The good thing is you can wear just one shade on its own, because the shadows are very much shimmery rather than matte, it still has an amazing finish. I tend to wear them on their own as an everyday look, but I do use both every now and then to create a more effortful look. I absolutely love these products and would recommend them to anybody. I am going to purchase more shades, but I just want to make sure to buy shades I will get a lot of wear out of. Rating- 4.5/5. When a product is so highly raved about by so many people, you just feel like you have to go out, buy it and try it for yourself. 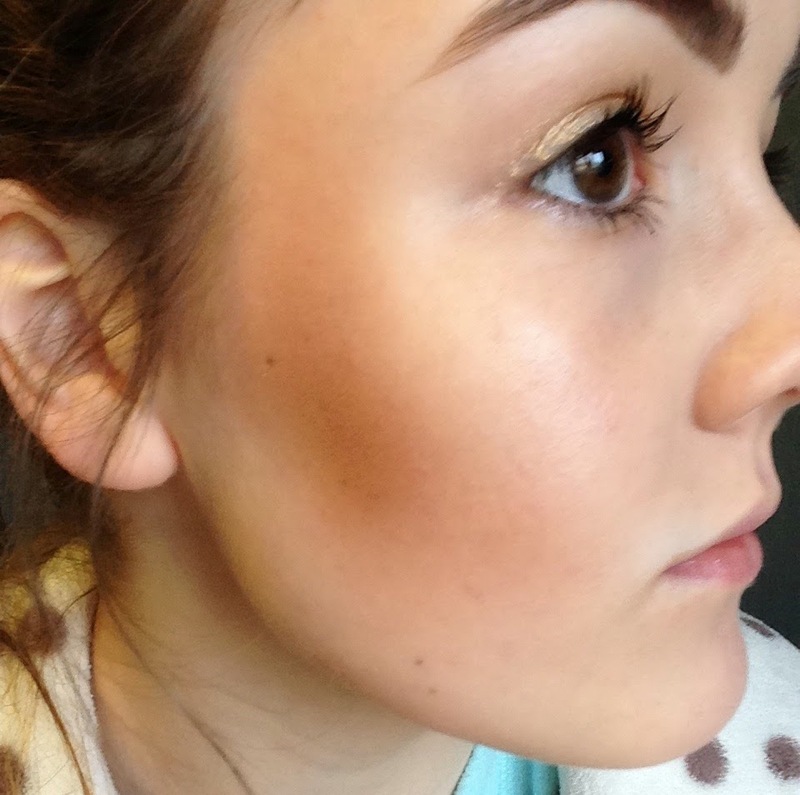 Well that's what happened with Sleeks contour kit, so is it really worth the hype? I am going to start by saying I was so intrigued by the product since Sleek is such a go-to-brand of mine and I 'd much rather buy duo's than buy them separately. The product itself is very pretty and of high quality, it is compact so it's good for travelling with and even contains a mirror which is always handy to have. So with the contour, and this depends on you individually, but personally I tend to go for the more natural contour look just so it gives definition to my cheeks without looking too bold. However I found this product to be highly pigmented and not very buildable. It blended out but then it was more like a bronzer than a contour. Because of this I was very disappointed in the product yet it did make for a very good bronzer instead. Due to it being a dark matte shade, I found it useful for darkening the edges of my face. 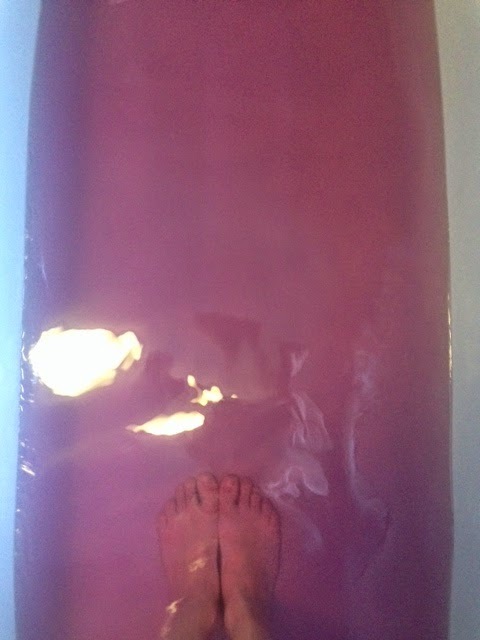 First of all can I just say, similarly to all the other products from lush how amazing this smells. It has a sweet yet subtle fragrance. So for those of you who tend to stand outside of lush due to there acclaimed overpowering scent (and you know who you are) I can assure you this is the perfect medium. 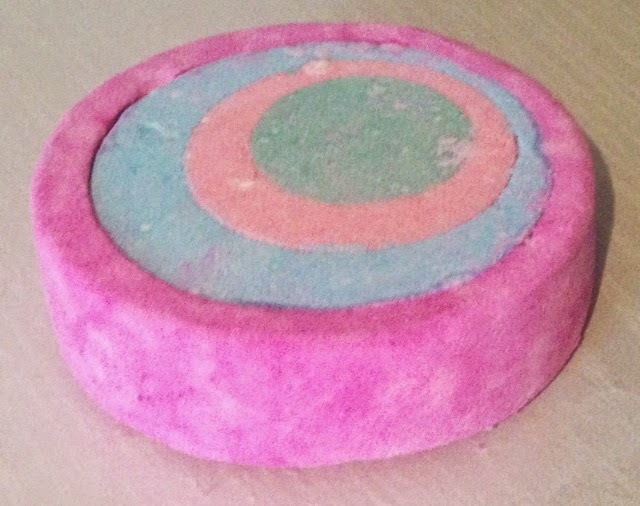 I love the look and style of this bath bomb which is what drew me to purchasing it, however I found it to be slightly misleading. 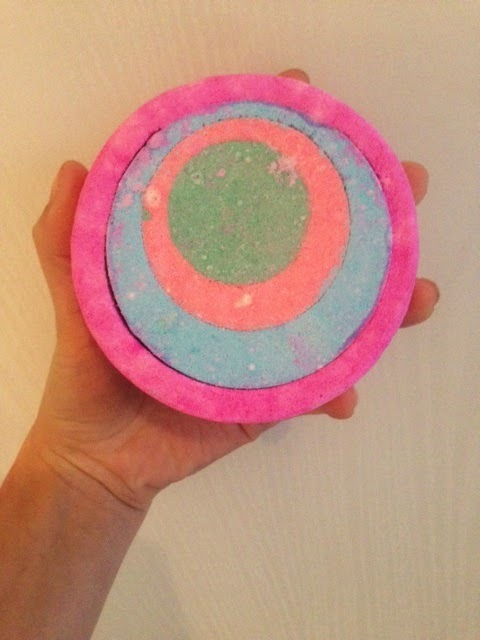 The bomb is a mixture of pink, blue, peachy rose and green which is how I assumed it would come out in my bath as it states on Lush's website; vibrant and colourful. And although each layer broke off in different colours, it very quickly faded into a reddy-toned purple. On the other hand the results were sensational. 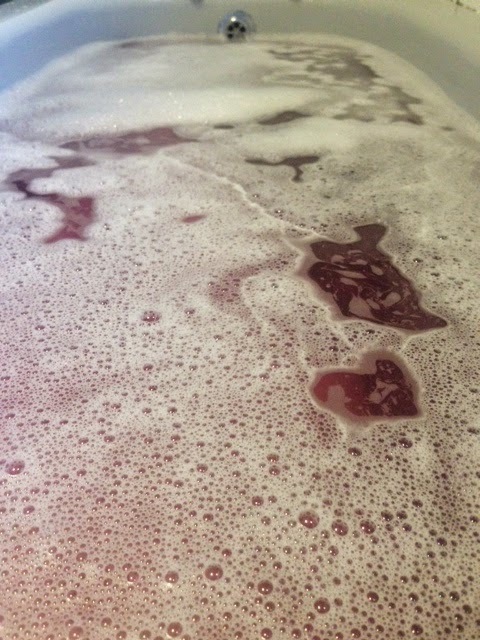 The bath water was a rich silky consistency, coated with a thin layer of bubbles and ensuring for the most luxurious soak of a lifetime. I was officially on cloud 9. It left my skin feeling and smelling incredible and I would definitely re-purchase this product again at the extremely inexpensive price of £3.35. Rating- 4/5.